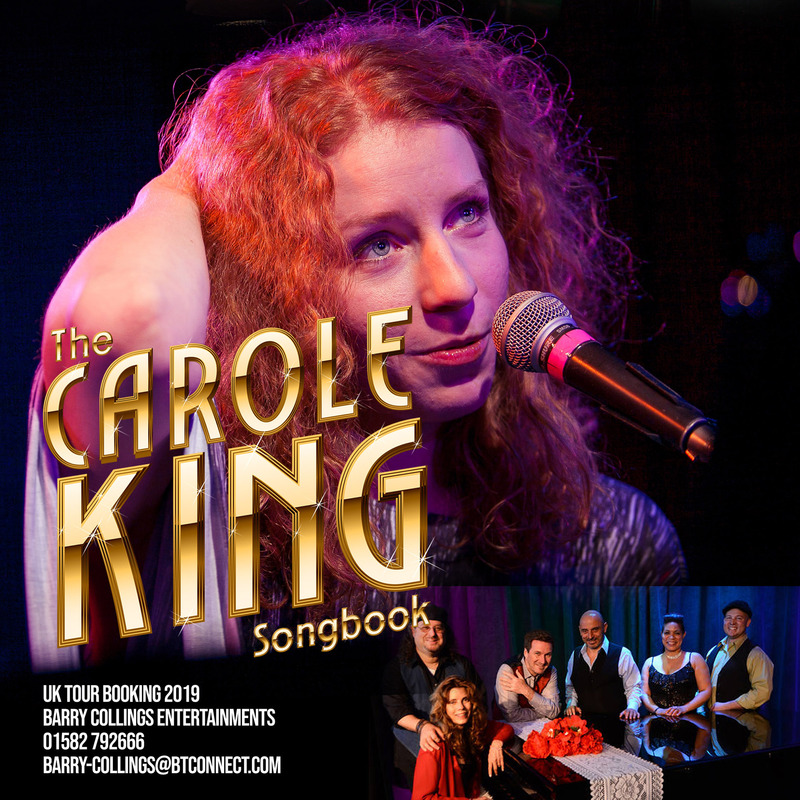 The Carole King Song Book is a timeless classic revue show with music recognised by all ages. Featuring hits such as “Beautiful”, “He’s Sure The Boy I Love”, “You Make Me Feel Like A Natural Woman”, “Take Good Care Of My Baby”, “Up On The Roof”, “You’ve Got A Friend”, “One Fine Day”, “The Locomotion” and many more hits. This show takes the audience on a 2 hour adventure into the world of songwriters Carole King and James Taylor. EARLY BIRD BOOKING – First 50 tickets are just £22 each.